in Vinyl and timber, MDF, western red cedar,Aluminium plantation shutters for your place. Beautiful, affordable and quick installation. Phone 0432 456 500 for free measure and quote. Add value and improve the look of your environment. Plantation shutters are not just good looking but have practical benefits as well. Great in coastal areas, protect against rain and sun, and give privacy to you and your family. CHEAP from $199 per square metre including installation. Use our calculator for a quick quote. 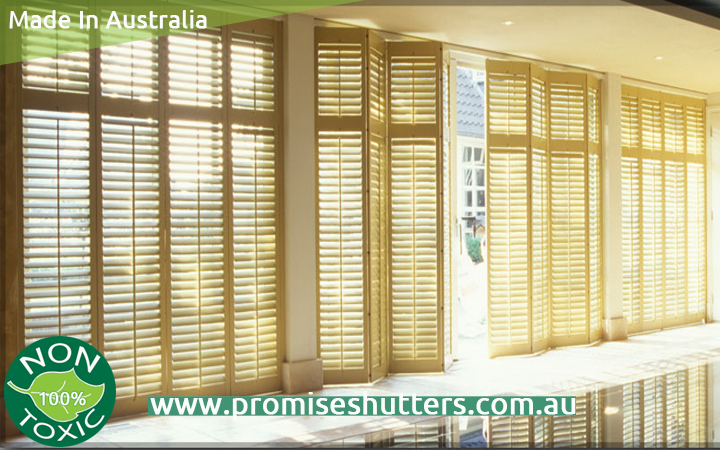 You will be surprised to find out how cheap our shutters are. "We guarantee to have the lowest price. "and "Bit any price in same product." Control of Light: Like many styles of blinds, plantation shutters let you control how much light you let in as well as where in the room it is directed (e.g. towards the ceiling). Privacy: The same maneuverability that allows you to control how much light the plantation shutters let in, also allows you to control the privacy afforded by the shutters. 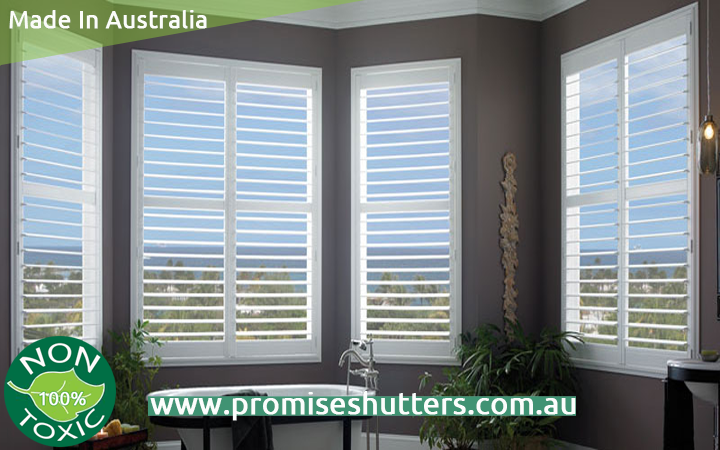 Unlike curtains, there are varying levels of privacy window shutters offer. Low Maintenance: Plantation shutters come in a wide range of materials, but they all have one thing in common: they are all extremely durable. This durability means that what minimal cleaning and care they do need can be easily achieved with water and sugar soap and only needs to be done as needed to reduce dust and dirt building up. No Nonsense: Traditional blinds can be extremely irritating once they become well-worn or when they are exposed to harsh elements. Plantation shutters have no need for cords to maneuver the slats, so there are no frustrating battles with cords becoming tangled, and there are no maintenance concerns regarding cords snapping, and rendering the shutters useless. It is also extremely frustrating on days with stronger than mild breezes that cause traditional blinds to blow out and then clatter back into the window frame, potentially scratching the glass and paintwork.